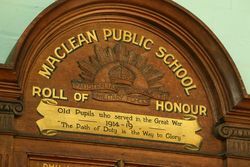 A meeting of the Maclean Parents and Citizens ' Association was held in the Shire Hall, Maclean, on Friday evening, Mr. R. J. McDonald presiding over an attendance of eight. 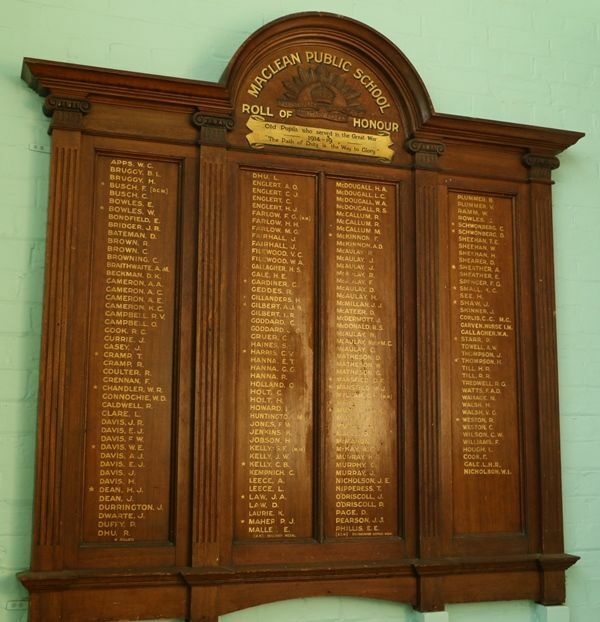 The meeting was called for the purpose of fixing the date for the unveiling of the public school honor board to perpetuate the memory of the old scholars who have donned khaki. A large number of names, 180 in all, have been collected and verified by comparison with school rolls and personal correction, and this large list was forwarded to a firm in Sydney for the purpose of having the names inscribed, due attention to be given to the different affixes to be placed after the names of soldiers who have paid the supreme sacrifice or been decorated. 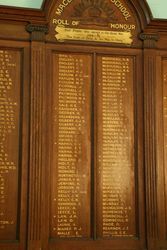 Five additional names were handed in at the meeting, and it will be necessary for a local decorator to add these to the board, which is of maplewood, and is due to arrive at Maclean on Monday. 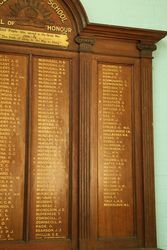 After some discussion it was decided to perform the unveiling ceremony on Wednesday afternoon, September the 18th, and some names were discussed at the meeting as to whom should perform the ceremony. 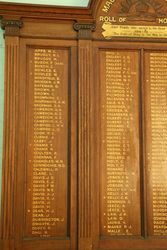 An application is to be sent to a gentleman in Sydney, and failing his ability to arrive here, it is possible one of the ladies who have given most sons to the army during the war will be asked to perform the unveiling. The President of the Harwood Shire and the Mayor of the municipality will also be invited to attend in their official capacity, and an application will be put in to declare the day a school half-holiday. Daily Examiner (Grafton, NSW), 2 September 1918. "The Path of Duty is the Way to Glory".